Europeans have been slow to the game with hybrids, having bet most of their green strategy on highly efficient clean diesels. But they are increasingly hedging their bets, learning to work with electric motors and battery packs. In the sports-car world, aside from startups Fisker and Tesla, no European maker is doing more than Porsche. It plans a hybrid version of its Cayenne sport utility vehicle, a hybrid Panamera four-door sedan, and perhaps even a smaller SUV hybrid as well. And why not? 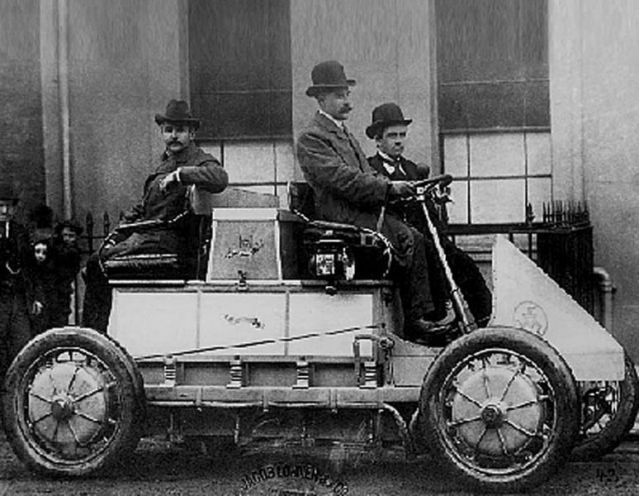 The world's very first hybrid is widely acknowledged to be the Lohner-Porsche of 1902, created by 27-year-old engineer Ferdinand Porsche, who would later found Porsche AG. He also created the German "People's Car" later called the VW Beetle. That first system was a series hybrid, like the upcoming 2011 Chevrolet Volt extended-range electric vehicle. A combustion engine powered a generator that sent current to electric motors in the wheel hubs, offering a range of up to 40 miles (yes, just like the Volt). Gasoline engines came to dominate 20th-century transport, but it seems fitting that Porsche is returning to acknowledge its hybrid history. Autocar confirms that the Cayenne sport-utility will be redesigned for the 2010 model year, with a "much more curvaceous and fluid exterior" style. It will feature direct-injected V8s in the U.S. and likely a diesel option, as in the current car, for Europe as well. 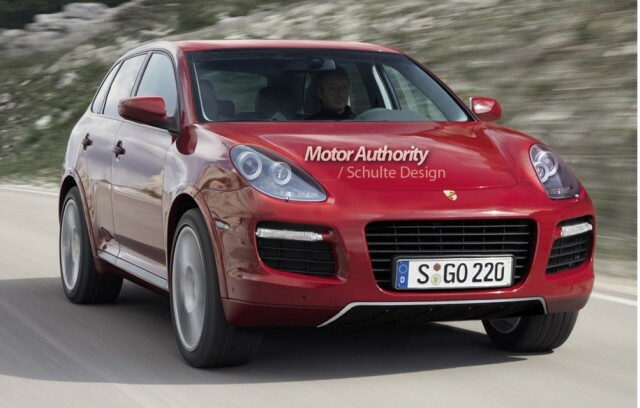 The 2011 Porsche Cayenne Hybrid will reportedly arrive at dealerships late next year. A report in the German Automobilwoche cited gas mileage of at least 26 miles per gallon, and Porsche claims improvements of 25 to 30 percent, especially in city driving. The 2011 Porsche Cayenne Hybrid features a direct-injected, supercharged, 333-horsepower 3.0-liter V6 engine, originally from Audi. A 38-kilowatt (52-hp) electric motor is mounted between the engine and an 8-speed automatic. The electric motor provides 221 lb-ft of torque, two-thirds as much as the engine itself. Unlike other hybrids, the system is tuned to give maximum electric assist not in city driving but at highway speeds. Porsche claims all-electric running at speeds as high as 86 miles per hour. Pricing for the Cayenne Hybrid hasn't been set yet, but in Europe it may be around 90,000 Euros ($125,000). As with most European cars, the US price will likely be considerably lower. nched 2010 Panamera, Porsche's first-ever four-door luxury sports sedan. It will likely use a similar V6 powertrain to the Cayenne Hybrid. Autocar reports that this is likely to be a rear-wheel-drive system only, unlike the Cayenne's, because the all-wheel-drive system on the big sedan is entirely different from that on the sport utility. Beyond those two, the planning gets hazier and less detailed. But now that Porsche is becoming a part of the Volkswagen Group, more platform sharing among Porsche, Audi, and Volkswagen--who already partnered on the Cayenne, Q7, and Touareg SUVs--seems likely. 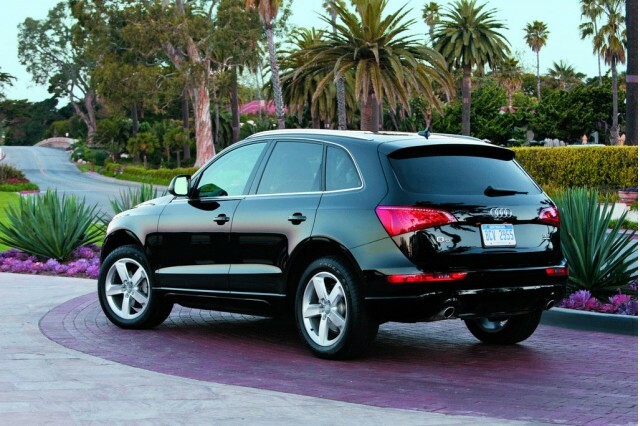 That means that Porsche might well use the 2010 Audi Q5 smaller sport utility as the basic for its own "baby Cayenne", similar to the Porsche Rockster concept shown a few years ago. Since the Q5 is slated for its own hybrid model within a couple of years, a hybrid small Porsche SUV is entirely possible as well.